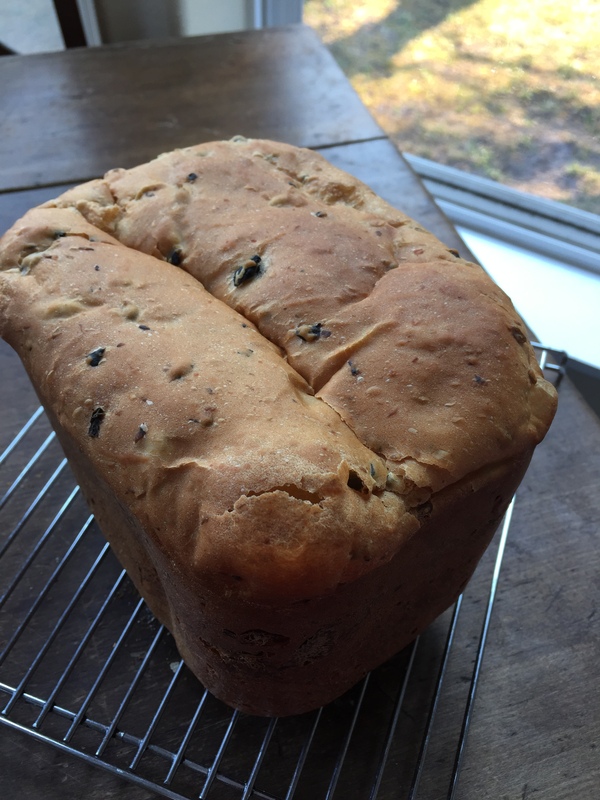 Time for another loaf I can eat to have around the house. I haven’t used my sourdough starter in a couple weeks, so I thought it was time to bring it back out of the fridge. Last last night, I stirred my starter before removing 1/2 cup of it to a glass bowl. I added 3 cups each of flour and water before covering it loosely with plastic wrap and leaving it in the kitchen to warm up and reactivate. 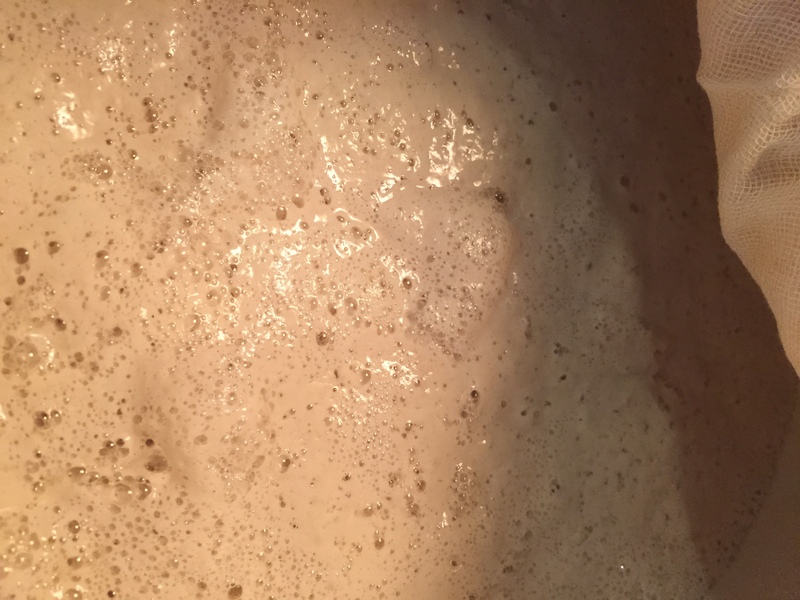 12 hours later, the starter had woken up, was bubbly and frothy. 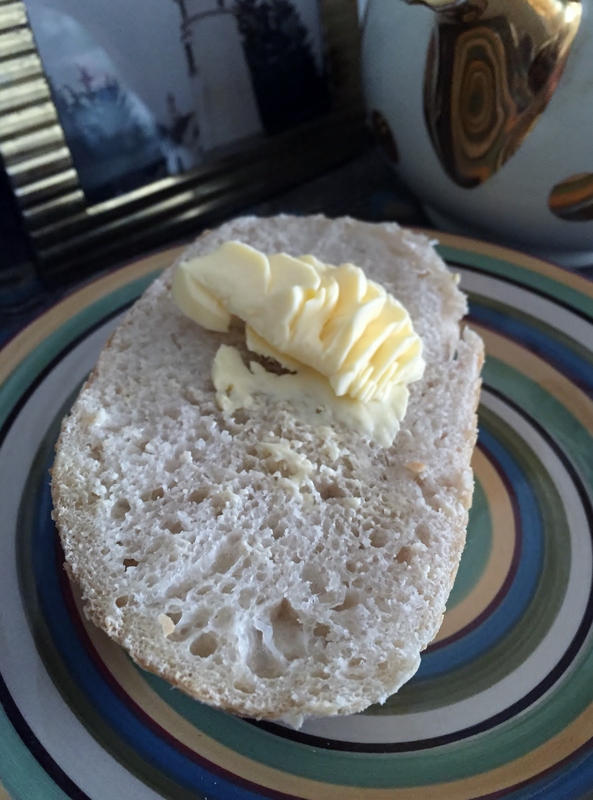 Of the newly activated starter, I only need 1 cup for my loaf, so I will put the remaining starter in another container in the fridge. I will label my starters and do some experimenting later to see how they each affect the bread I bake with them. 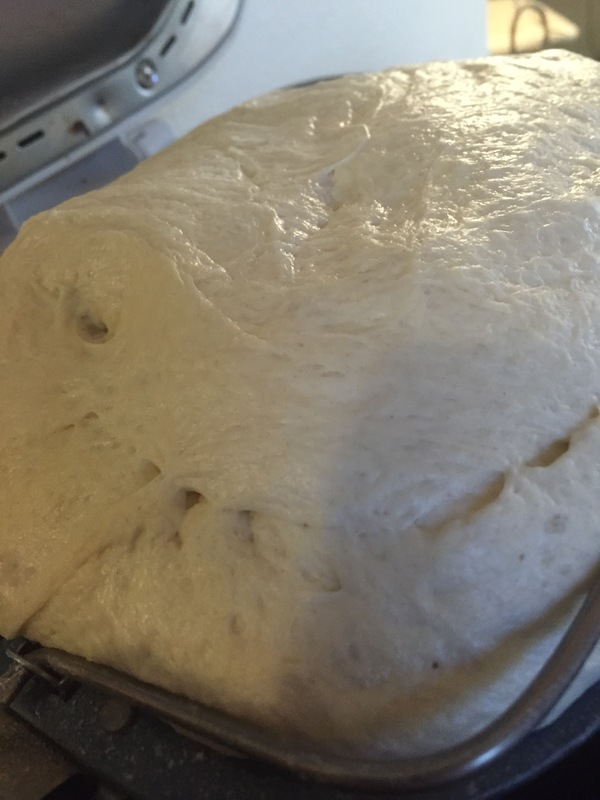 Into the bread machine pan, I placed 1 cup of my sourdough starter, 1/3 cup fat free milk, 2 tablespoons olive oil, 3 tablespoons pesto, 3 cups bread flour, 1 tablespoon sugar, 1 1/2 teaspoons garlic powder, 1 teaspoon dried marjoram, 1 teaspoon dried basil, 1 teaspoon salt and 1 1/2 teaspoons SAF yeast. 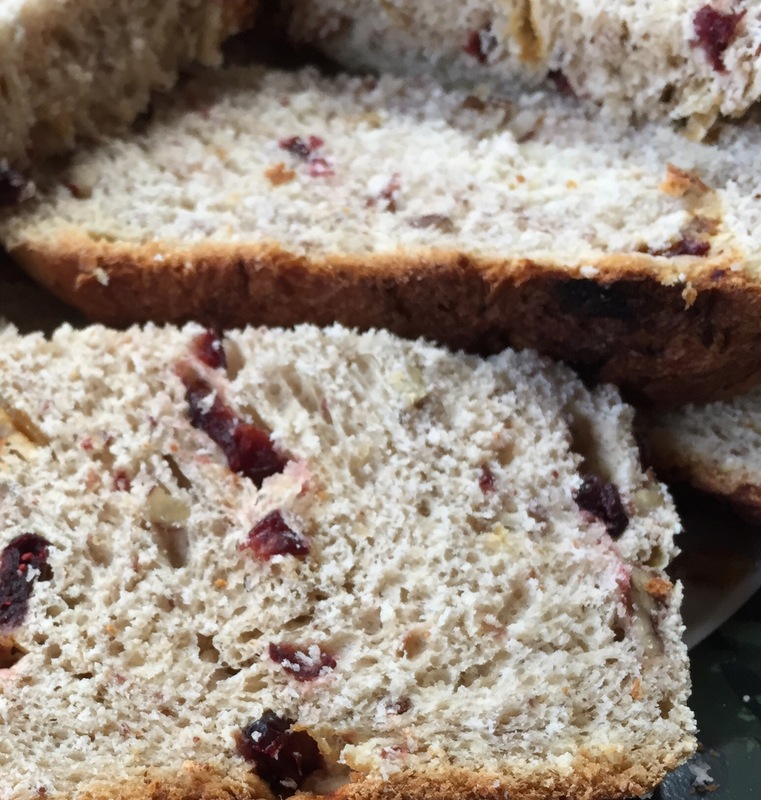 This recipe doesn’t require the addition of vital wheat gluten. I can tell already that today is going to be tough. The smell of the pesto is incredible right away. As this loaf takes the time to mix, knead, rise and bake, I expect it will just get better and better. 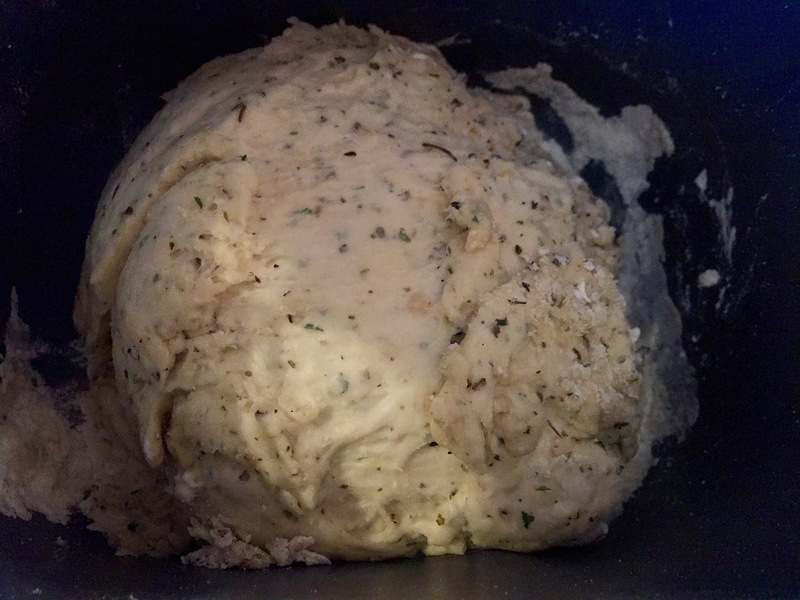 As you can see from this photo taken during the first rise, the bits of herbs are scattered throughout the dough ball. 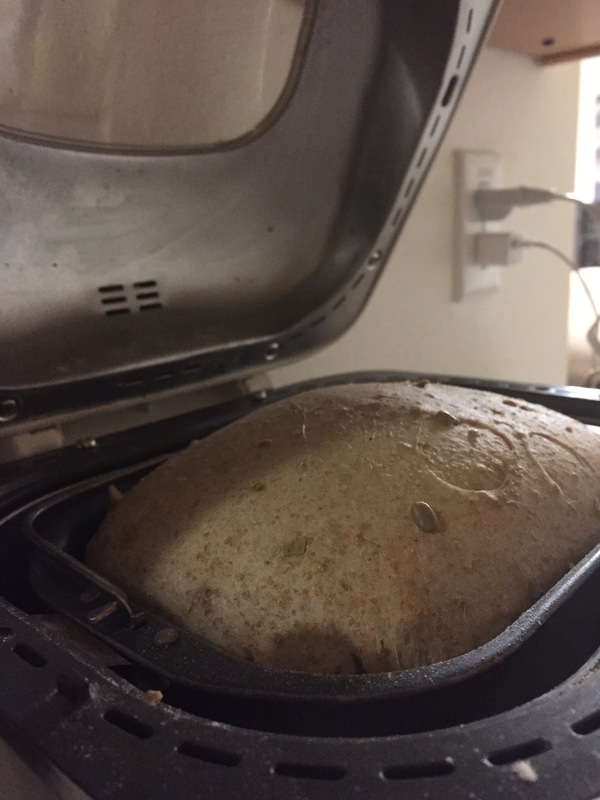 Something came up and I had to leave the house during the bread making, so I wasn’t teased by the lovely aroma too much. This loaf baked to tall and lovely golden brown perfection. 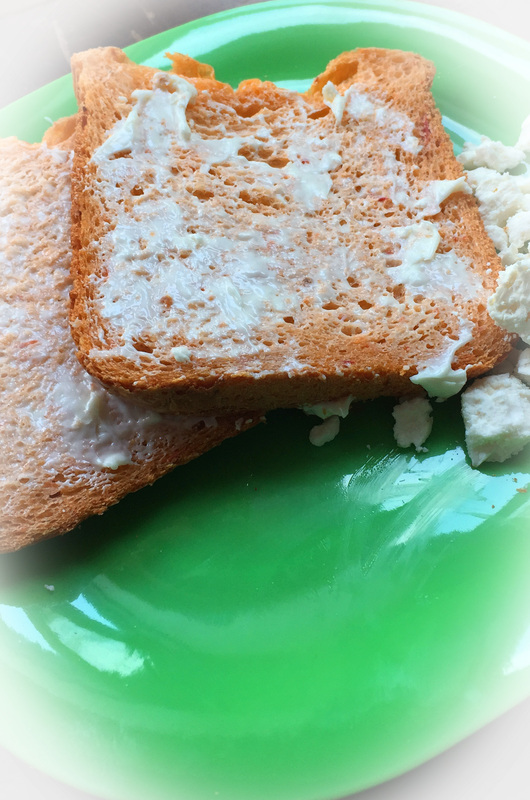 Unfortunately, I sort of squashed it down while putting it in my bread box before taking a picture of the finished product. I also haven’t tried it yet, I have company coming later this evening and will get opinions then. It was delicious. The flavor of the basil pesto really came through well. I made myself a toasted cheese sandwich with it and served that with some tomato soup. Heaven.